Mother Lillie Bunch was born on December 19, 1930, in Madison Parish to the late Kye Nash and Louise Williams, both of whom preceded her in death. She received her education in Madison Parish. Mother Lillie Bunch confessed Christ on the second Sunday morning between 10 and 11 o’clock, on September 10, 1943, on the Islington Plantation, at the Bethlehem Missionary Baptist Church, Pastor Al Mitchell. She moved to the West Coast and when she came back to live in Tallulah, she joined the New Jerusalem Missionary Baptist Church in 1958 under the leadership of Reverend E. Baldwin. She stayed there until he passed on, then Reverend Frank Holden was elected Pastor. In December 1997, she decided to return to her home church where she served faithfully until ill health. She was married to the late Brother Henry Bunch, who preceded her in death. 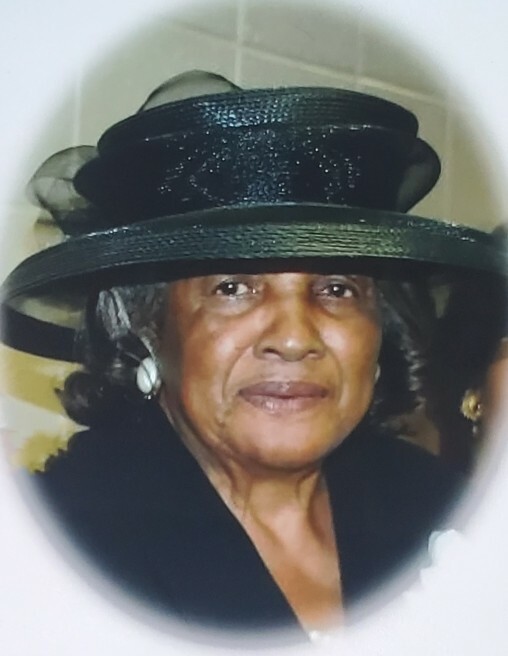 Mother Lillie departed this life on Monday, March 18, 2019, at 7:00 AM at Glenwood Medical Center, West Monroe, LA. God’s angels came and escorted her to her heavenly home. In addition to her parents and husband, she is preceded in death by one son, Robert Hoskin, and brothers, Leroy (Tank) Williams and Willie (Big Man) Nash, Sr.
She leaves to cherish her memory: Curtis Nash (Betty) of Alexandria, VA, Louise Tutt (Benjamin) of Woodbridge, VA, Rosie Brown (Jerry) of Fort Washington, MD, Willie Hoskin, Jr. (Brenda) of Temple Hills, MD, and Lawrence Thomas (Alma) of Baton Rouge, LA; brothers, John Nash and Johnny Nash of Tallulah, LA, Leon Johnson of DeRidder, LA and Eddie Davis of Las Vegas, NV; sisters, Dorothy Smith and Betty Williams of Las Vegas, NV; daughter-in-law, Pastor Vera Hoskin of Tallulah, LA; one special God-sent friend (who is truly like a another daughter), Carolyn Perkins and family of Tallulah, LA; six grandchildren, five stepchildren, nine great-grandchildren and a host of other relatives and friends.